Esse filme mostra atletas e locais em 5 “Novos Mundos” (New World). São eles, o Brasil, o Japão, a Australia, o Canada e a Europa como um todo. Lucas Xaparral, Murilo Romão, Gabriel Fortunato, Glauber Marques, Klaus Bohms, Ryota Abe, Buchi, Naohiro Abe, Tsubasa Kuga, Tatsuma Masuda, Yamato Kosuzu, Masashi Morioka, Ryo Sejiri, Alex Lawton, Chase Collins, Sam Atkins, Bjorn Johnston, Mitch Morrison, Hootie Andrews, Christian Low, Dennis Durrant, Will Marshall, Jayden Bono, Jon Cosentino, Magnus Hanson, Morgan Dejardins Turgeon, Sascha Daley, Jaren Verbruggen, Joseph Biais, Madars Apse, Ross Mcgouran, Alex Amor, Michael Mackrodt, Nassim Guammaz, Jaakko Ojanen, Phill Zwijsen, Jacopo Carozzi, Brandon Westgate, Nyjah Huston, Mason Silva, Evan Smith, Nick Garcia, Madars Apse, Greyson Fletcher, Dominick Walker, Chris Colbourn, Mark Appleyard, Nassim Guammaz, Ethan Loy. Filmagem: Diogo Ramos, Cole Mathews, Hidenori Tanaka, Akinori Miyajima, Keiske Minagawa, Hiroyuki Matsuo, Damia Tesorero, Naoshi Imai, Leight Bolton, Mark Stewart, James James, Stuart Fogarty, Neihana Tonkin, Ant Travis, Mike Poore, Ryan lee, John Note, Colin Evans, Geoff Campbell, James Messina, Russell Houghten, Jordan Moss, Damià Tesorero, Alan Hanon, Hidenori Tanaka, Joe Monteleone, Niki Waltl, Guillaume Perimony, Julien Dellion, Geoff Van Hove, Travis Adams, Anton Believe, Enrique Mayor, Edu Muñoz, Paul Labadie, Pedro Dylon, Jordan Moss, Sami El Hassani, Fred Montagen, Ludovic Azemar, Willy Crank. 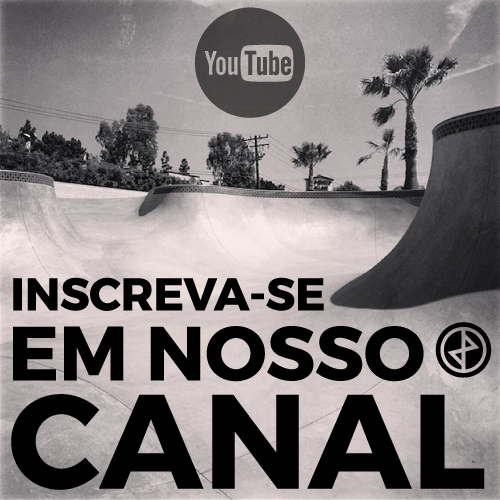 Editor: Mark Stewart, Cole Mathews, Mark Stewart, Leigh Bolton, Fred Mortagne. Produzido por: Marc Falkenstien, Cole Mathews, Alexandre Deron. Produtor Executivo: Johnny Schillereff, Frank Voit, Julien Duval. Direção de arte: Brecht Cuppens, Nathalie Fercoq. Design Gráfico: Nathalie Fercoq, Tristan Badoual.